It goes up, it goes down. It’s been going down lately. 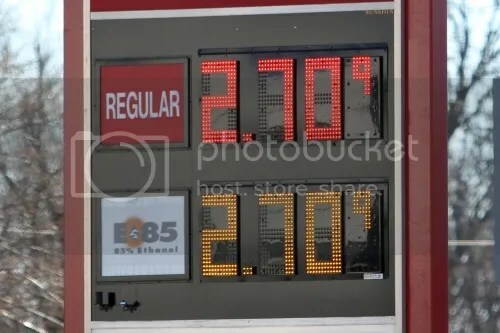 Americans are fed up with high gas prices. Common sense approaches from the House will develop more energy from all of our available resources and reduce energy prices. It is time America used the natural resources with which we have been blessed and stopped relying heavily on foreign dictatorships for our energy needs. Without this action, prices will most assuredly stay high. That was when the retail price of gas was fifty cents a gallon higher. Now the silence from the hand wringing right is noticeable, at least from our perspective.